This is an ornament my friend Holly sent me from Russia. 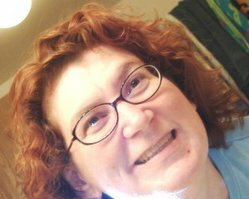 She moved there in 1997, met a man, fell in love, had a couple of kids, and now resides in Novosibirsk, Siberia. I'm not sure if there is any real symbolism or if this ornament means anything, I just like her. She reminds me of Holly and her family every year. 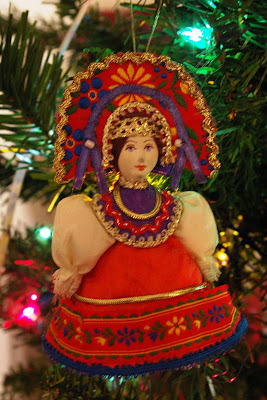 She is placed in a prominent place on our tree in honor of our friends in Russia.